On June 30, over 100 people in my village came together for my 60th birthday. The party was outstanding. People came from Jersey, Atlanta, Seattle, Phoenix, the Bay area, and all parts of Southern California to participate in our family celebration. People sent greetings from Africa, England, and the Netherlands. I am still humbled, grateful, and overwhelmed by the occasion. I feel like so many people have given so much to me, and this event was no exception. My brothers Wayne, Baron, and Ira joined together to provide the necessary support (food, entertainment, etc.) to help make the day truly special for me and my parents. I can never say enough about their love and support. They are my brothers, my angels. I can count on them for anything and know they will always be there for me. I also thank the Calloway family for providing the venue for the wonderful afternoon celebration. I’ve been in Los Angeles since 1981. I’ve been going to the Regency West in Leimert Park for various events and occasions. It was the perfect place to bring my villagers together. We also celebrated my mom and dad’s 60 year anniversary that day. We have flourished, accomplished much together, and supported one another all these years. I was happy to see everyone congratulate my main supporters. My oldest nephew Tommy celebrated his 21st birthday the prior Saturday. He and his brother Jordan spoke nicely about me and what I mean to them. Others spoke far too generously about my contributions to their lives. I was truly touched! My professor, Harry Edwards, my brother Wynton Marsalis, and my lady love Sade sent special messages for the occasion. My brother Bernard sent a wonderful greeting from Ghana, Africa, and my sister Marianne sent a touching sentiment from the Netherlands. And my home instruction teacher Ted Krulakowski sent a stellar address from Long Branch, NJ. Those messages, among others, can be found on my website (djriley.net), and pictures from my celebration can be found on my Facebook page (DonaldRileyJr). Please check those sites out, even if you weren’t able to attend the party. My brothers Wayne, Jeffrey, and Mitch did their best to capture the essence of what was truly a glorious day! I had the blessing of meeting up later with some out of town guests at the Sheraton in Culver City, where I expressed my appreciation and gratitude for their coming to L.A. and supporting me and my family. I want to give recognition and thanks to God for bringing all my people together and getting them home safely. Finally, I want to mention two current events. The first is the miracle that just took place in Thailand. Getting those 13 boys and their coach out of that cave was a true blessing! I thank God for bringing all those people from different continents and cultures together to make that happen. I also have to comment on the new Supreme Court nominee. The President and the Republicans want to weight the court towards conservative policy. I can only hope and pray for divine intervention and that the court will continue to support moderate and more liberal established decisions of the past and not dismantle equal rights and other gains that have been fought for, which represent the true essence of what America is supposed to stand for and what we should all be about. DJ ! CONGRATULATIONS and HAPPY BIRTHDAY, MY BROTHER ! I have known all manner of men over my 75 years on this planet – from Dr. King, to Malcolm X, Stokely Carmichael, H Rap Brown, Huey Newton, Bill Russell, Jim Brown, and Kareem, Tommie Smith and John Carlos, Barack Obama, NFL HO F Coach Bill Walsh, and today’s activist heroes Le Bron, Steph Curry, and Colin Kaepernick and Eric Reid – all men of courage, character, vision, and commitment who I count as friends. And through all of those acquaintances and relationships, I have found one judgement – stated of course by a woman – to be ABSOLUTELY CORRECT : “Courage is the greatest of ALL virtues – because without it, no other virtue is possible !”. By that measure, I count you in this group as well. In living your life, in continuing to learn and teach, to grow and reach for all that you can be, you have come to epitomize and model that MAN that we all want to BELIEVE that we are — while, frankly, hoping all along that we will never be truly tested as to the validity of that view of ourselves. DJ , you are everything that I hope to be as a man, as a friend, and as a model for all of the young brothers coming along behind us. You are my hero ! Happy 60th, my Brother – And God Bless ! I am glad to know you’ve been hanging in there, enjoying some of your familiar pastimes, and friends. I too was saddened by the passing of our man “Dukey Stick”. I think back with fascination about the many albums we enjoyed from George and the genre of music he helped to foster. I have been quite behind in correspondence with so much to do and so little time. But I’ve recommitted myself to rekindling cherished old friendships and hope to soon make it to Los Angeles to check on a few folks. You know you’re one of the first if I can just see a break in the frenetic pace of life. I hope that your folks are well and your circle of friends continues to infuse and generate the zest for life that I remember you to always have. Though we haven’t spoken in much time, I carry in my heart the spirit and vibe that you’ve always managed to exude. Your positive thoughts and encouragement have never left my being all these many years and I am sure it’s there to stay. Keep on Keeping On … I read every one of your communications, sometimes not timely, but I do. Thanks for keeping me plugged in and tethered to your appreciation of the simplest of life’s happy moments. I truly appreciate you. I have not been to So Cal since Mom passed but hope to get there by Summer. 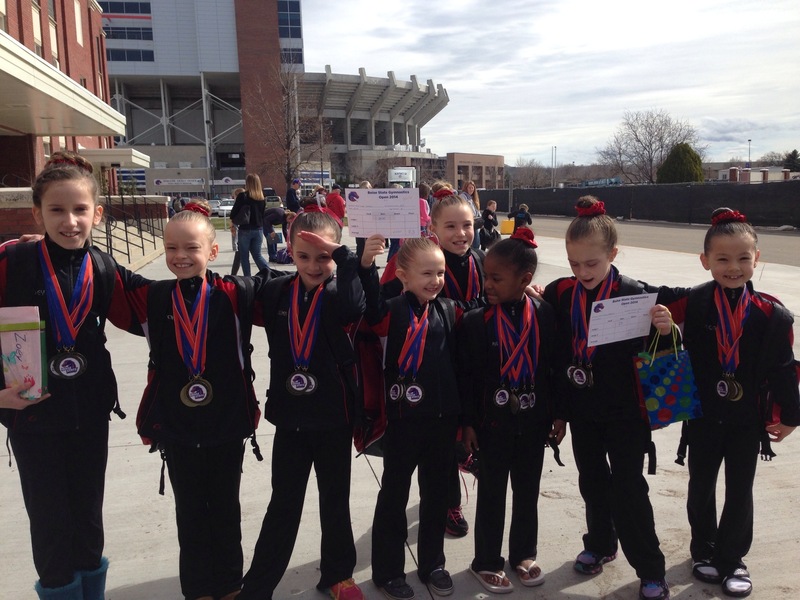 We just returned from Boise, Idaho where Aria took 2nd Place All_Around in her division … pic attached. I love this poem, too. It is one of a few that I have memorized for constant motivation. The ideas expressed in this poem kept Mandela strong. It has kept me strong, and I believe DJ in doing all that he has done has represented the ideas and qualities in this poem, and continues to represent this mindset lived true. First, I must say who I am in order to say who DJ is in my mind’s eye. I love Black people. I love people. I am purpose driven. I really believe my actions matter. I believe we can change the world. I believe in living to a higher purpose. NOW is always the time to do, to be, and to have all that God has for us. I love life. I love music. I love good food, especially soul food, which I am missing a whole lot living here in Ghana. 😊 I love people of action. I love being in the action, where the action is for positive change. It is in these beliefs lived out BOLDLY that I met DJ. DJ is all of this and more. DJ is all of that and an order of chili Cheese fries from Tommy’s at 2 am. The Law of Attraction is true. Like energy, like mindsets ATTRACT. So, we met at USC in the 1980s during controversy and the movement for change. 1984 Run Jesse Run: Rev. Jesse Jackson for President. Leading Students for Jackson, Southern California. As a youth leader that did not always ask and demand all that was my due, DJ was a great help. It was DJ that said, “Bernard: let’s go to the convention. You and I have put in all this work, we should be there.” So, I owe to DJ the daring ask, for Yes we did receive a place to stay, while at the National Democratic Party Convention in San Francisco California in 1984. Staying in the office for the Jesse Jackson California Campaign and not knowing we were the in the office. We made history. We were a part of history making. 1984. During that campaign, DJ told me something I have taken as a life lesson, which I in turn share at every opportunity with young leaders over the years. He advised me that as a youth leader, “don’t limit yourself to being a youth leader only for young people, or a student leader only for students, because all people just need good leadership. Our communities need leaders. So, be the leader for all the people. Don’t limit yourself!” This was and still is some good stuff! So, DJ has been someone, who I could depend on to be always on my side. So, thank you for that. Thank you DJ for all the cool hookups! Attending the NBA Championships Lakers versus Pistons 1986. My one and only NBA Championship Game was due to DJ’s hookup! Thank you. DJ. George Benson Concerts by the Sea. So many Jazz artists and Reggae artists. DJ: How do you do what you do? Thank you for being you. How can I forget going to see Eddie Murphy and going back stage. Even when I lived in Texas before coming to Ghana in 2014, Brother DJ hooked a brother up with tickets to see Sade in Dallas in 2013. Our life is nothing more than directed thought, misdirected thought or undirected thought. These three forms of thought energy we manifest by our assumptions. Generally, DJ seemed to know what he wanted, and asked, cajoled, influenced and persuaded others to give him whatever he asked. DJ is and has always been a seeker. He likes to make things happen in a world of great happenings. Maybe it was natural for us to find each other. Years after we met at USC, I wrote, and began to teach in workshops, panels or wherever someone was foolish enough to give me a microphone, “Either you make things happen or they happen to you. When things happen to you, it is usually not the way you want.” I am sure you are also familiar with the phrase, “It’s not what happens to you that matters, but how you respond to what has happened to you.” DJ has happened to this world. DJ has responded to this world. He has not and probably never will respond the way we think is politically correct as maybe we think is “right” but he expresses and impresses his presence on us. We are better for it. So, two final thoughts before I close on this “short” Ode to DJ. “Ask and it shall be given to you. Seek and you shall find. Knock and the door shall be open.” Also, “the Law is no respecter of persons.” Without pretending that DJ is a saint, because he like me is more often than not a part of the “Bad Boy” posse that includes Will Smith and Martin Lawrence. I use these scriptures to make a simple point. DJ dared to seek answers, support, access, and inclusion. “The bold opening” of door in so many areas. I am thankful for that example! I love you DJ and I am thankful for your friendship all these years. DJ and Marianne – Such good memories! I always told you I’d be here to celebrate your 60st birthday and I am terribly sorry I cannot make it. In February 1994 I lived in a strange new country, not feeling at ease with the city and the language. Being totally frustrated, since I didn’t have a job, and studying to become an RN was boring, I responded to an ad in the Daily Bruin, in which someone was looking for an aide. I called the number, couldn’t quite understand what was said (due to the Bi-PaP) and complied to a job interview- which was the start of a long friendship. I clearly remember the day we had a fight and I was yelling at you. You calmly replied that you somehow understood what I meant, but could I please yell in English the next time I was mad at you? And of course you taught me to love LA. We had a good time, even when we quarreled. You helped me by sending me to ESL–class where I not only became more confident about my English, but also made lots of friends. You met quite a couple of them and we loved to party together. You were concerned about me: you hated my smoking and bicycling to town. You visited us twice in the Netherlands. We went to Amsterdam, Scheveningen and The Hague. We have been back to LA several times, and I always try to see you. Each time I’m amazed that you are still hanging in there, enjoying life. Every time I’m amazed by how you get me to work for you again: calling people to arrange dinners at places who do not take reservations, and are not well equipped for wheelchairs, but in the end we’re always having a good time. I’m so happy that I read that tiny ad all those years ago. What a lucky girl I was to have met you and what a lucky woman I am to still know you. Thank you for teaching me how to love life.